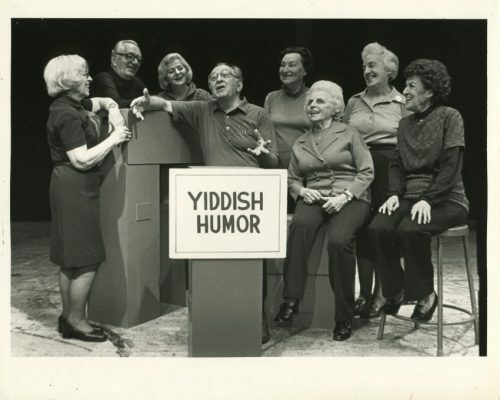 Status: Partially Identified – Therese Klein is fifth from the left, standing to the right of the unidentified gentleman at the podium. Do you recognized any of the other members of the JCC Prime Time Players, 1982? Status: Partially Identified! 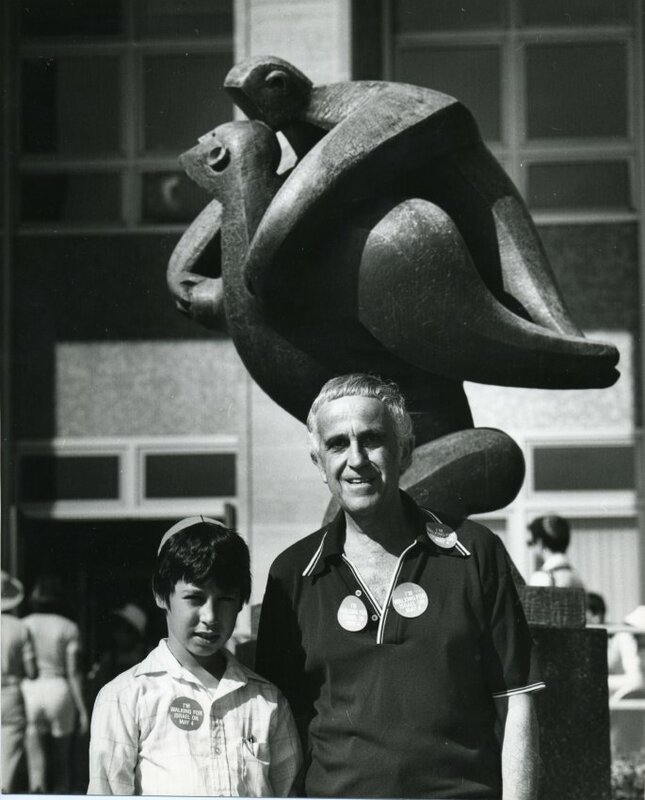 The adult in this 1980 Walk for Israel photo is Harry Bernstein. Do you recognize the young boy he is standing with? Status: Unidentified. 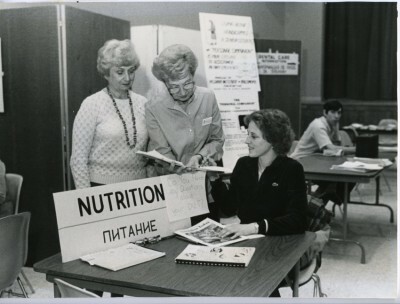 Volunteers prepare a table at a JCC health fair, 1981.